Ther. Mon. 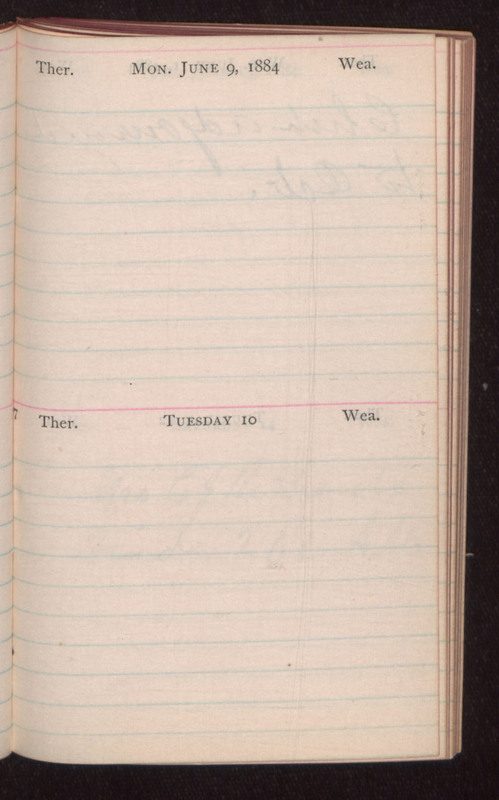 June 9, 1884 Wea. Ther. Tuesday 10 Wea.